Once you’ve pulled down all of the links from a round up page like social-media.alltop.com, you’ve got a list of authoritative sources on a niche topic. If it’s a subject that you’re interested in keeping up on, you can create a Google Custom Search Engine based on your list. Then, when you’re interested in what the social media pundits have to say about a news item, or if you’re interested in finding posts that combine a specific idea (say coffee for example) with your niche’s point of view, instead of doing a general Google search and getting all kinds of results, you can restrict your queries to your handpicked list of experts in that niche. When link building, it’s often necessary to gather a large list of targets for a campaign. Here’s one way to quickly get some good URLs, with basic metrics attached, without pulling them one by one. Let’s say you’ve got a new infographic about coffee and you’re trying to find a list of blogs that would potentially be interested in posting about it. The first step is to find some pages that list the kind of blogs that we’re after. Lists like these are popular on the web so we shouldn’t have too much trouble. Google is a good place to start, either by searching for round up posts or by using the SERPs themselves as a list. Also try Technorati, DMOZ and Alltop. Once you’ve got a page with a bunch of links listed, copy the URLs. It’s often easiest to use a tool like SEO for Firefox for this. Right click the page and select SEO XRay. The SEO for Firefox plugin overlays some data on top of the page you’re on. 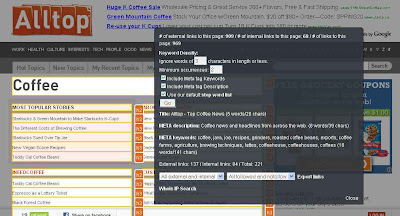 Select external links and export them as a CSV file. 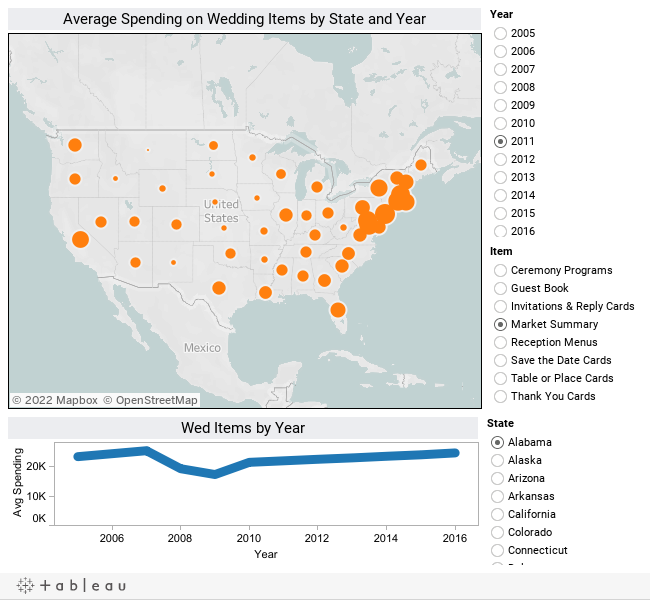 If you need to clean up your list to filter out duplicates, ads and other irrelevant links, pull open your CSV with Excel. Then copy them to your clipboard for the next step. 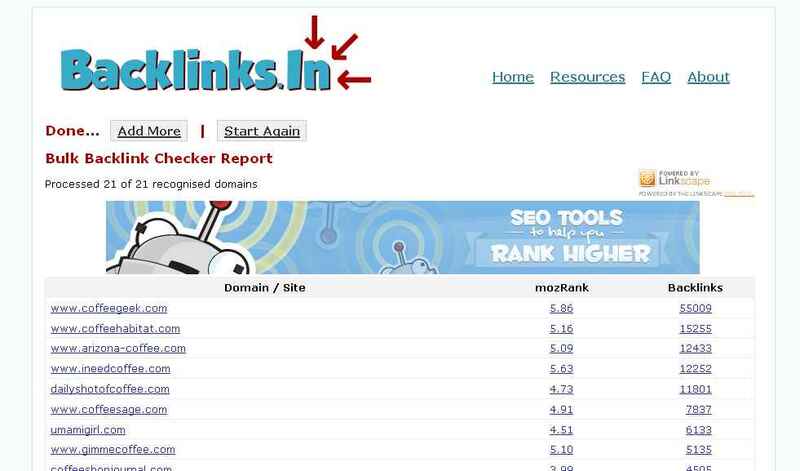 To add some quick evaluation metrics, try backlinks.in. 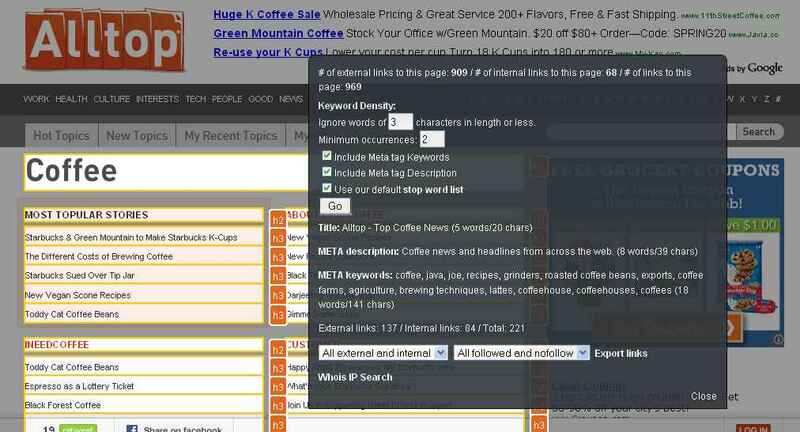 It’s a tool built on SEOMoz’s Linkscape data and allows you to evaluate up to 1000 URLs per day in bulk. 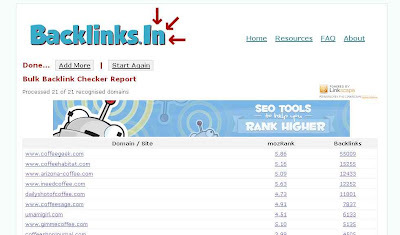 You get page MozRank and the number of backlinks for each URL, which can help you prioritize your potential link targets. Paste back into Excel and you’re set to start pitching!